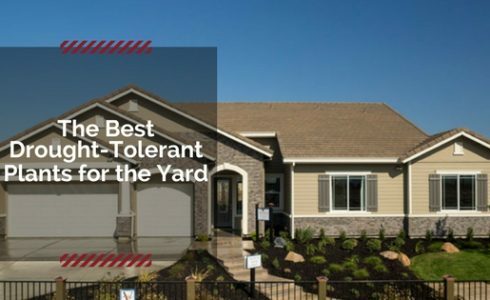 California is blessed with great year-round weather, however, since we’ve just come out of a long drought season, creating a drought-tolerant landscape has become a topic of interest among our homeowners. Filling your yard with native and drought-tolerant plants is important to maintain the unique bio-diversity here in California. Using “California-friendly” plants benefit the climate, wildlife, and the community. 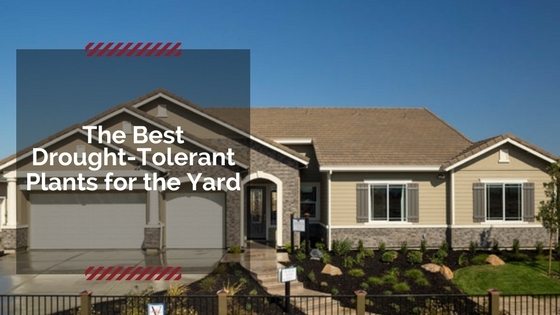 Plus, you won’t have to spend as much time maintaining them. Especially helpful as we all seek ways to conserve more water. Luckily, there is a large selection of “California-friendly” drought-tolerant plants. We put together a simple list of plants you to consider when creating a drought-tolerant garden. 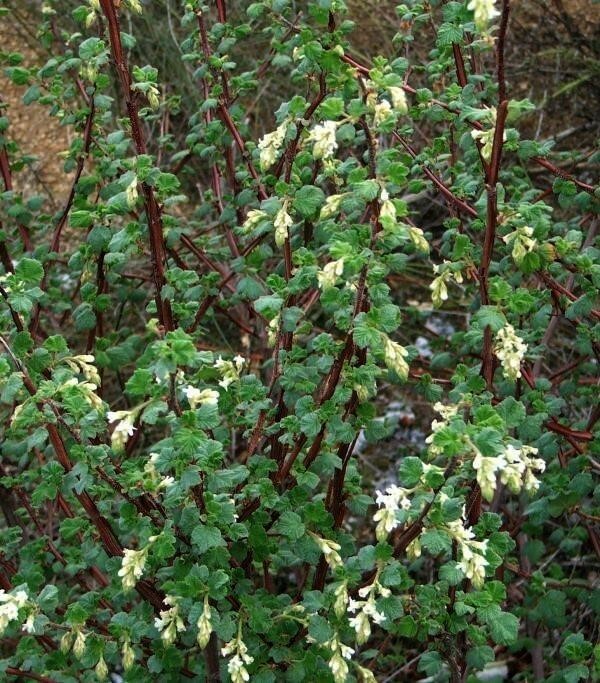 Visit My Native Plants for a comprehensive list of native plants based on your zip code. The California state flower is also a drought-tolerant beauty. They do well in warm climates that receive full sun and well-drained soil. 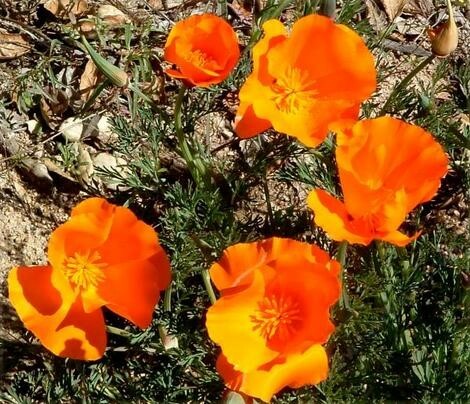 In addition to the California poppy, you can plant the the Matilija, Tree, Prickly and Oriental poppies. 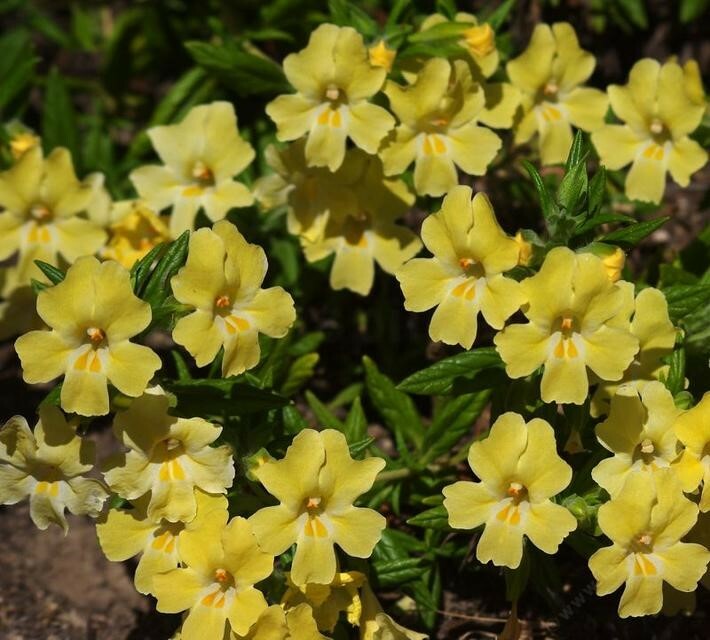 This group of flowers are a gardener’s favorite. The urn-shaped flowers are popular with butterflies, hummingbirds and native insects. 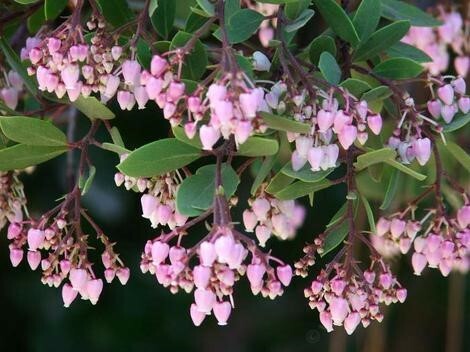 There are over 40 different types of manzanita, not including subspecies and hybrids and range from groundcover to large shrubs and small trees. Named for their flowers that look like a grinning monkey, the California Monkey flowers are another great hummingbird plant and are deer-proof. Wild Mock Oranges are a shrub that can grow up to 6 feet in height with fragrant, 2-inch white flowers. This flowering bush is another favorite with hummingbirds and butterflies. 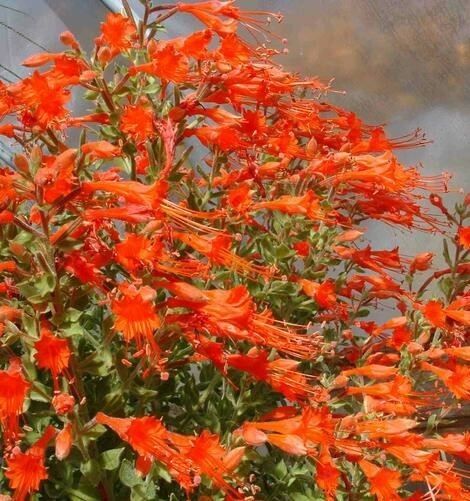 California Fuchsias range in color from white, pink to orange and red. 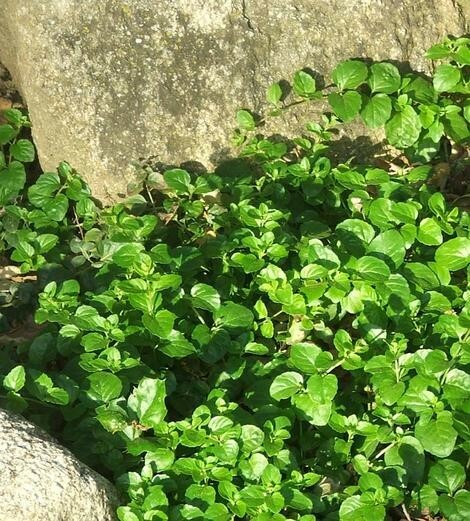 Yerba Buena is a ground cover that’s easy to keep contained. 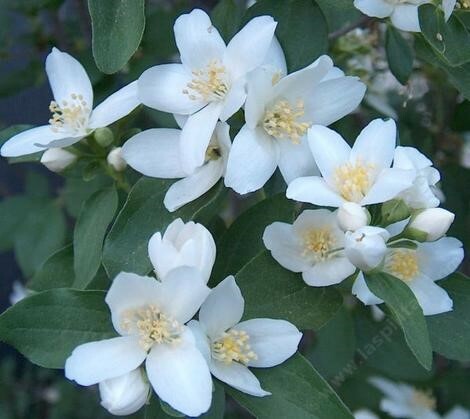 It’s also easy to maintain and the leaves are fragrant. Plus, they’re deer-resistant! Currants and gooseberries are a wonderful plant. They have pretty flowers, tasty fruit, are fragrant and come in a variety of colors. They are another flower popular with pollinators like hummingbirds and butterflies and offer cover for birds. 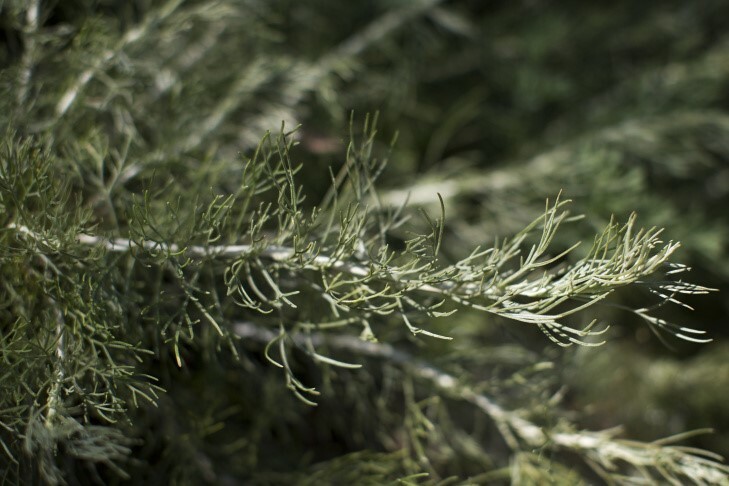 This shrub has a silvery, soft and fragrant foliage. They’re great for erosion control.